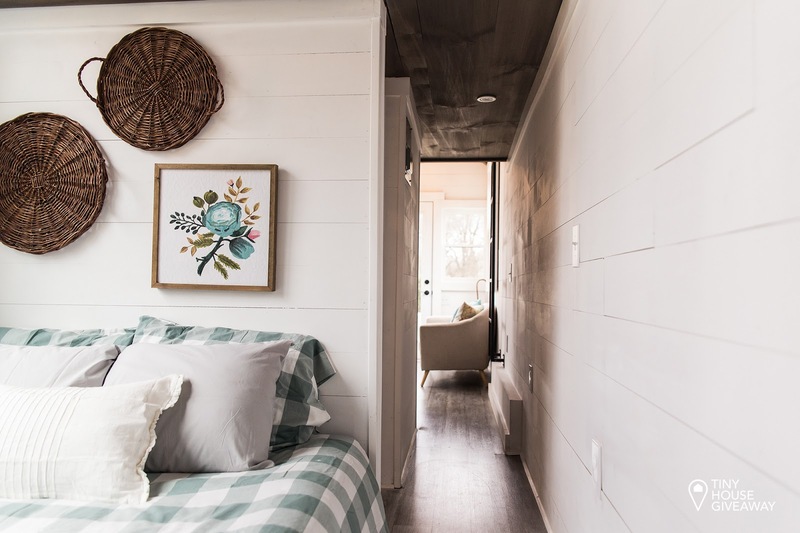 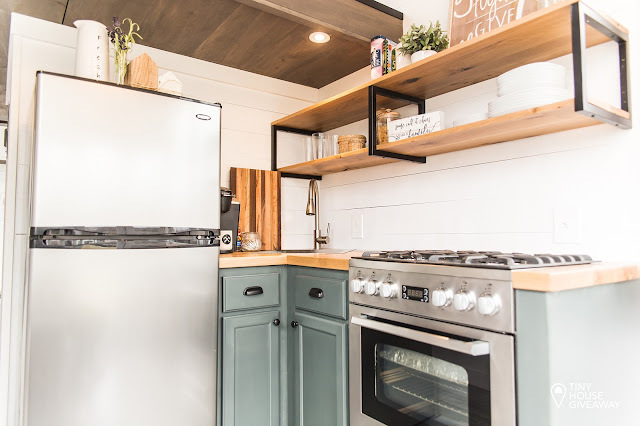 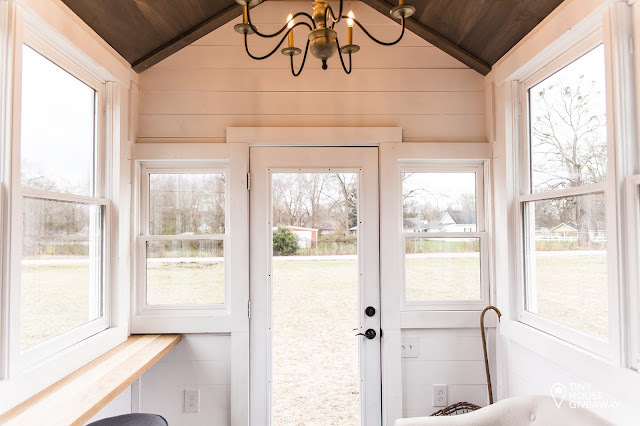 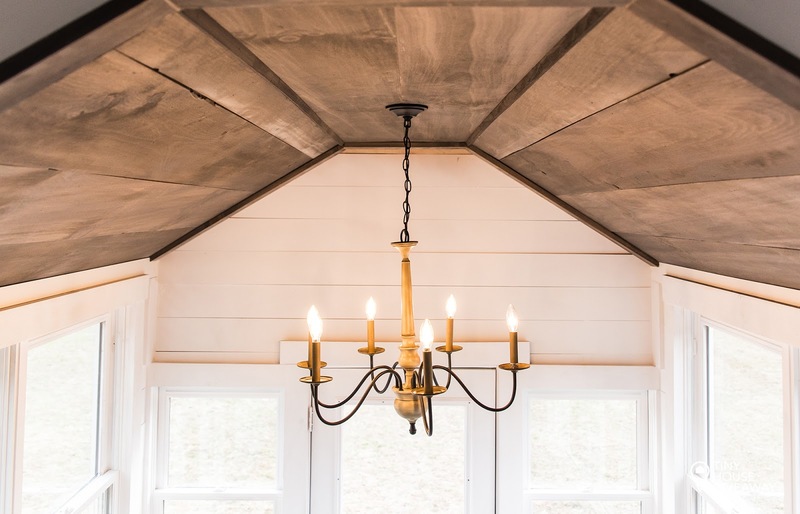 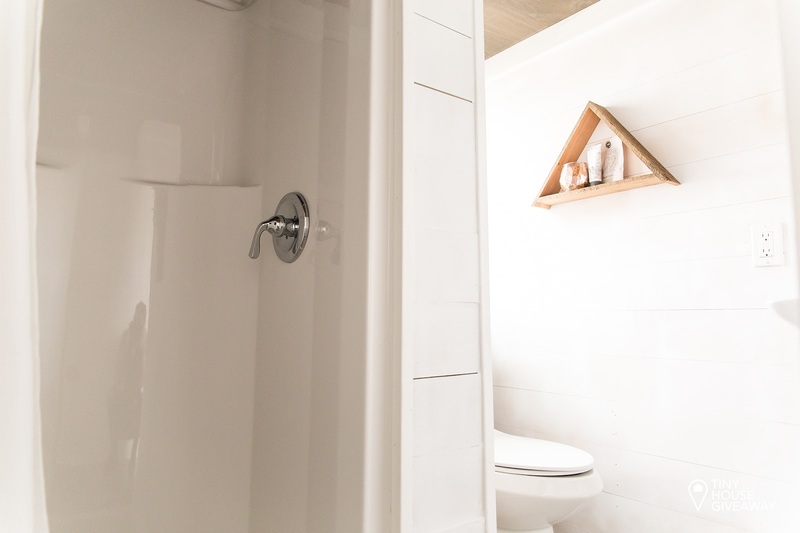 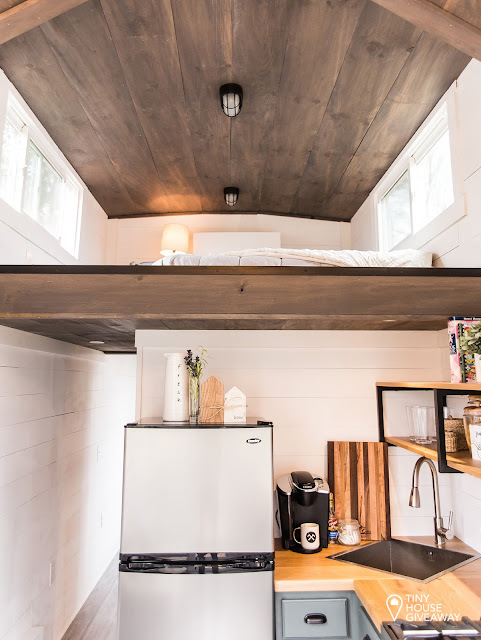 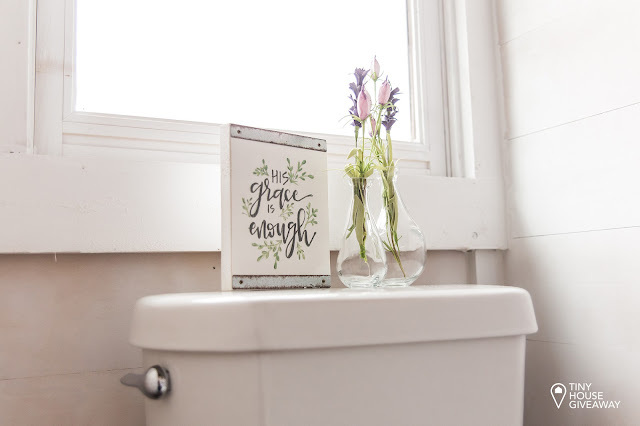 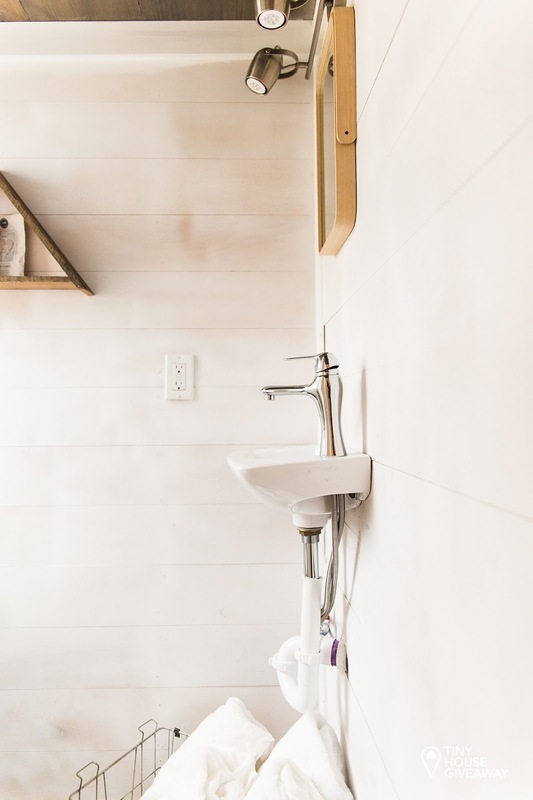 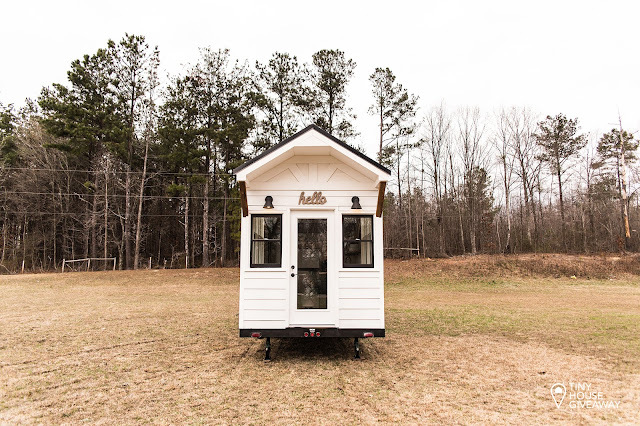 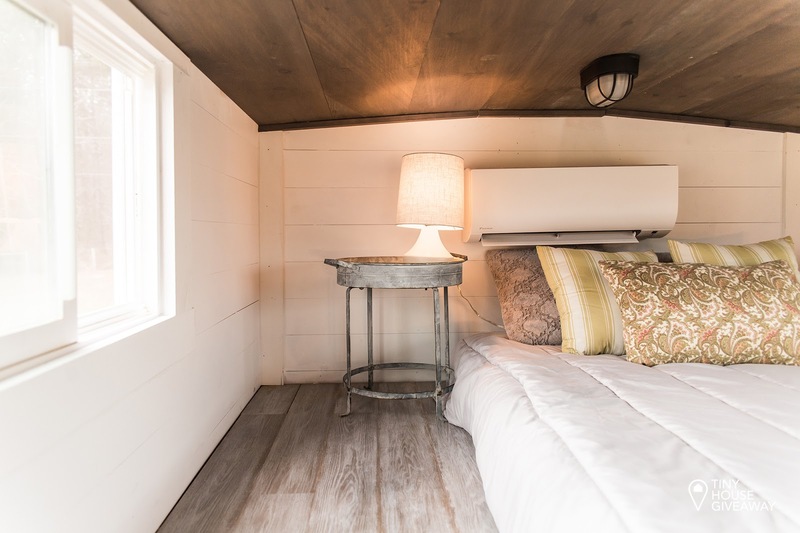 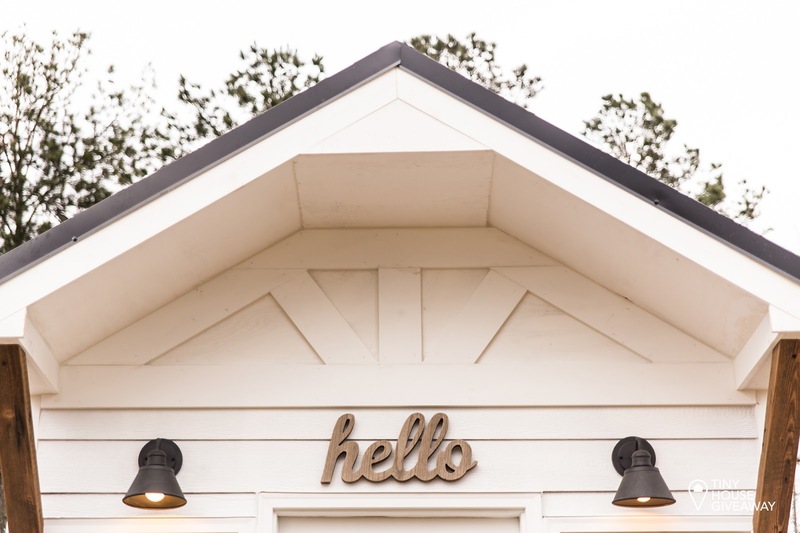 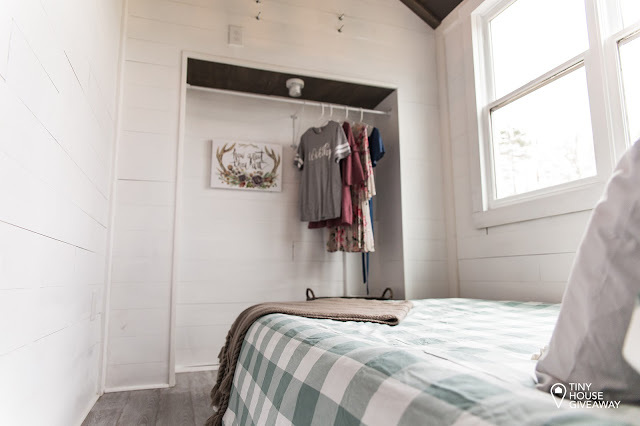 This beautiful farmhouse-style tiny home was created for the third Tiny House Giveaway. Designed by Brian Preston and built by Lamon Luther, the home was raffled off with ticket sales going towards the Lamon Luther Foundation. 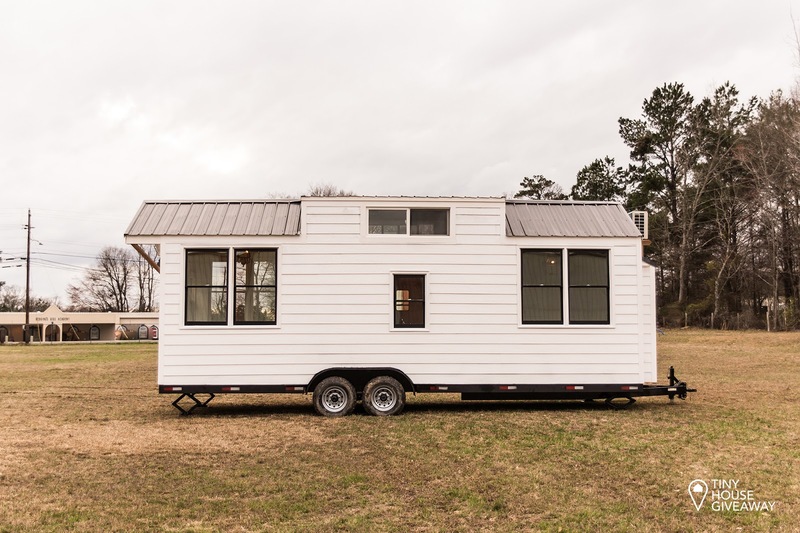 Named the Norma Jean, the home was built onto a double-axle trailer with a simple, modern/rustic look inside. 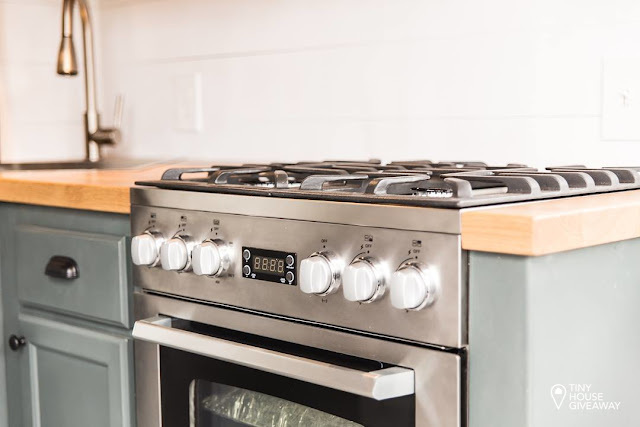 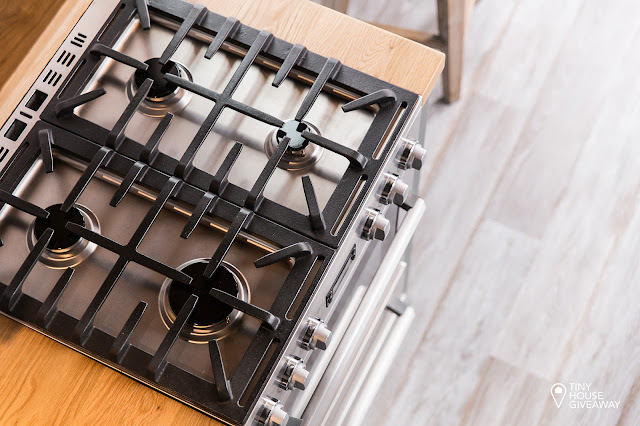 There are two bedrooms- one on the ground floor and another in the loft, a kitchen, dining space for two, and a bathroom. There's even a small front porch! 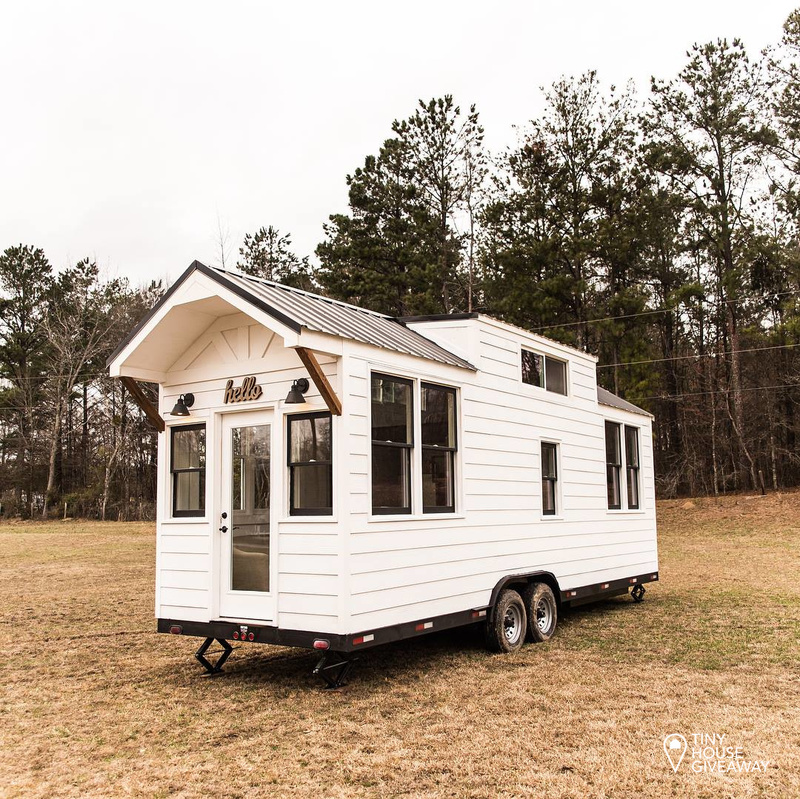 You can follow this tiny house and her owner on Instagram at @tinynormajean!